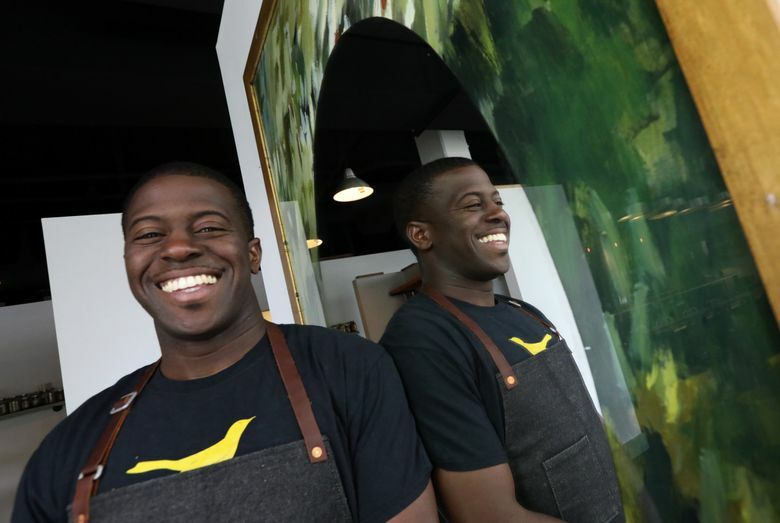 James Beard award-winning chef Edouardo Jordan's third restaurant will be located next to JuneBaby and will feature grain-centric meals and spirits. What do you do for an encore when you’ve already opened two of the most talked-about restaurants in Seattle in the last three years? For James Beard-award winning chef Edouardo Jordan, the answer is Lucinda Grain Bar. Opening in late November in Seattle’s Ravenna neighborhood, Jordan’s third venture will be a cafe during the day and a bar at night, focusing on graincentric meals and grain spirits. “Some of the best grains in the world are right here,” around the Skagit Valley area, said Jordan during a short interview at the James Beard fundraiser dinner at the Fairmont Olympic Hotel last Friday. Heirloom and ancient grains such as wheat berries and millets will be the focus, served with roast chicken, poached salmon and other meat. Lucinda, though, is not an exclusive rice-bowl concept. The menu will include buckwheat-pasta dishes and pressed sandwiches. The concept will be more casual than his other two restaurants, Salare and JuneBaby; the latter was anointed in May as the Best New Restaurant in America by the prestigious James Beard award, one of the industry’s highest honors (he also won a Beard award for Best Chef: Northwest). Since the James Beard award, JuneBaby has become the hottest ticket in town. The staff has been sending customers two blocks east to sister restaurant Salare to wait in the cocktail bar. On many nights, Salare’s bar area has also been packed. The staff hopes that the 20-seat Lucinda, located next to JuneBaby, will ease the congestion and give JuneBaby fans another waiting area. At Jordan’s new bar, the craft-cocktail program will focus on the classics and highballs.